A lot of people are always confused about what actually is the function of XML or HTML sitemap, how it benefits their website and how can they better use it t achieve optimal results. The doubts are unending and also those who understand what XML sitemap is and how it serves are often confused about it. 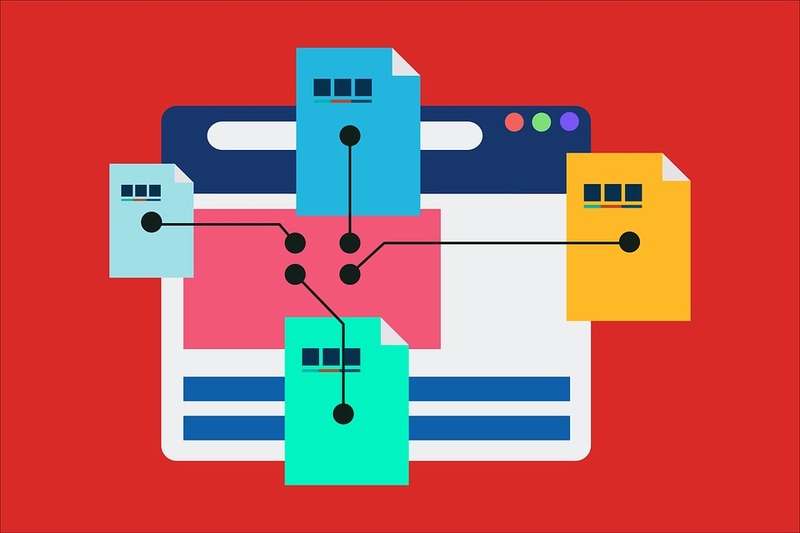 During all my years in the field of SEO, I have come across many clients that not only believe in the misconceptions about XML and HTML sitemaps but also want to keep it away from their site. These sitemaps are extremely useful and beneficial tools for your site without any doubt. However like many other beneficial tools that we use, a little explanation, understanding and training about it and how we can create XML sitemap can empower people about the significance and the usage of it. Let’s talk you through the purpose of it as it will help you in understanding a great deal about it. The main purpose of XML sitemap is to demonstrate to the website visitors and the search engines about where the information can be found on the site. It basically spells out the site’s central content themes. These are static HTML files that fulfil the purpose of outlining the first two structure levels of a website. At first, the conventional sitemaps helped visitors in finding the items of their interest on the website in an easy way. But as the time passed, gradually they became dependable methods of assisting search engines in finding and indexing different or all parts of a website. In the current times, the experts advise clients to create XML sitemap that enables an easy to read link dump for indexing to the crawlers. We know that few web browsers allow the displaying of XML sitemap so that the readers can read them too, but you need to provide both HTML and XML sitemaps if you are looking to cater to the requirements of both visitors and the search engines. When talking about other useful purposes of sitemap, we can talk about how it demonstrates the inner framework and content organization of the website to the search engines. A sitemap of your site shows how the visitors work through the site in an intuitive manner. Going back few years, we noticed that sitemaps were only a boring series of links presented in the form of lists. But nowadays things have changed and they are considered as the extension of a website. You can benefit from this tool only if you make use of it for leading visitors and search engines to more content, present already on your site. What you must do is to come up with details of all sections including the subsections by the use of descriptive text that is mentioned under the site map link. This helps you in two ways. Not only it assists the users to better understand the navigation of the site but it also provides more stuff of contentment to the search engines. Below mentioned points will tell you about the functioning of a good sitemap. The importance of sitemaps can never be underestimated. One of the main factors that emphasize their importance is the fact that they give substance or content to search engine bots to crawl on your site. The sitemap provides the links of all the main pages of the site to the bot. This lets all the pages to be indexed on the sitemap by the search engine bot. This act of indexing and allowing the spider to crawl all the pages can be extremely beneficial because if all the pages of the website are included in the database of the search engine, the site has more and genuine chances of ranking higher in the SERPs when users search something using a keyword. Rather than hunting around the links, the sitemap of your site drives the search engine towards the individual pages of your site. A well thought out sitemap created by Xml sitemap generator makes sure that the site is completely indexed by the search engines. The sitemap should always be linked from the homepage and this is the norm. By linking it to the homepage allows an easy passage for the search engines to find it and then follow it through the site. But if you link it to another page then the search engine bot may happen to find a dead end while crawling and this allows it to quit. When it comes to the size of the websites, smaller websites have the advantage of placing all their pages on the sitemap while the larger sites having more pages should not do it. This makes the search engines go through an un-ending list of links. This way the search engines may assume that you are a link farm. A number of SEO experts firmly believe that you need not have in excess of 30 to 40 links on your site map. By doing this, you are making it easier for the human visitors to read. Keep one thing in mind that the sitemap’s purpose is to assist and ease the users and it should not confuse them. The anchored or the clickable text of each link must comprise of a keyword. If used in the content, the keyword containing link should be well scattered throughout the whole content. This anchored text must link to an appropriate page for the ease of the visitor. While you create xml sitemap via a reliable Xml sitemap generator, you must ensure that all the links are correct. All those pages that are on the sitemap must have a link that enables the visitor back to the sitemap. We know that we cannot leave the website on its own; the same stays true for the sitemap as well. Make sure that whenever you make changes to your site, you also update the sitemap so that it also shows the new form of the site. By maintaining your sitemap consistently, you are benefited as you make the visitor and search engines happy.